Coloured & Tinted Stretch Film Wrap. 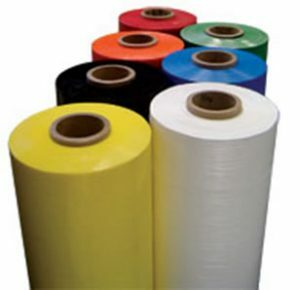 We supply an extensive range of coloured stretch films in both opaque and tints. Available for both machine and hand application these coloured films are versatile and cost effective. Suitable for use in food areas, these coloured films allow quick identification at a glance of different products or as opaque for product security.